The last of our exclusive picture leaks in a series of Samsung tablets after the Samsung Galaxy Tab Advanced2 and Samsung Galaxy Tab A2 (10.5), brings us to Samsung’s first 7-inch Android 8.0 tablet, which appears to be a mildly updated or upgraded Samsung SM-T230. As we have said since February, the model number would normally indicate that this tablet is just a tablet with a software update, since this isn’t a new model number. However, since we have seen hints of more than just software updates on this tablet during it’s numerous leaks since winter, Samsung’s coming 7-inch Android 8.0 tablet may have at least a little more in store than just a software update. Otherwise there would be no reason to have it certified, which is where our Asian regulatory sourced image comes from. 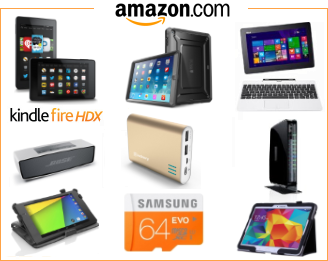 This Samsung SM-T230NZ picture was taken in the middle of May, and the last 7-inch Android tablet from Samsung was the Samsung Galaxy Tab A 7.0, launched in March 2016. 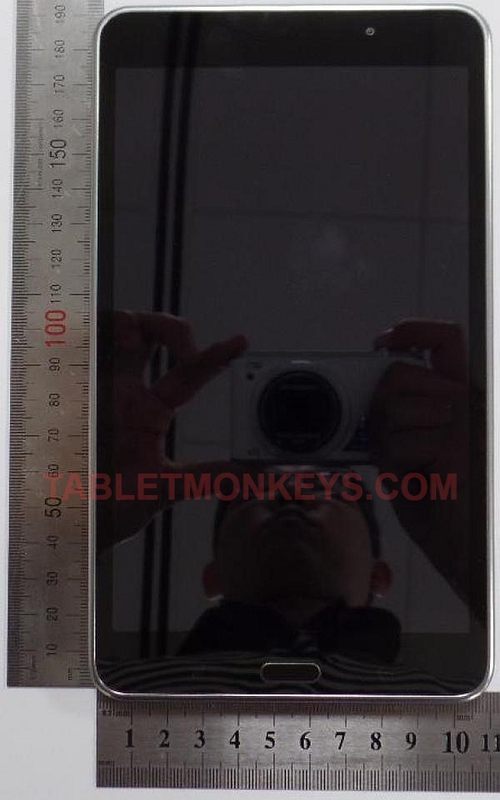 What we can assume based on this Samsung Galaxy Tab 7.0 (SM-T230NZ) picture is that Samsung have removed the oval top front speaker holes which should have been to the left of the camera we can make out on the top of the tablet. The silver frame around the bezel also looks new to me, more similar in design to the Samsung Galaxy Tab A 8.0 launched last year. And while we don’t see the power button or the volume rockers on the side of the tablet, I expect the buttons to still be there on the side, it’s just that this picture has been take too close for us to see them. And the original navigation and home buttons on the bezel is still there, so this is one tablet Samsung didn’t remove physical navigation buttons on. It was from the FCC approval in February that we first noticed a possible design change on the SM-T230NZ, as the carved out frame around the tablet was new, and so was the LED or speaker underneath the camera. 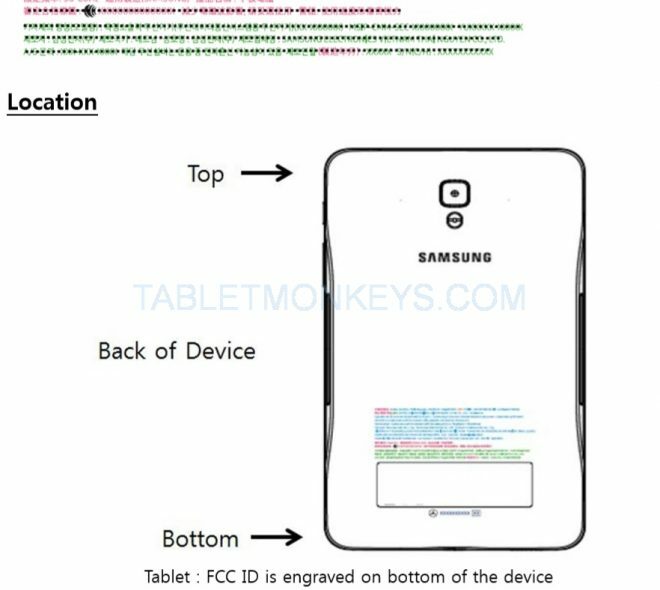 And the FCC illustrations also shows that the power button and volume rockers are still there. Since then, the new Samsung Galaxy Tab 7.0 (SM-T230NZ) was Wi-Fi certified with Android 8.0 in April, and then Bluetooth certified in May. The new support pages for Samsung SM-T230NZ at Samsung Germany came up today as well, though without revealing anything new. Only some of the specs have leaked on an official basis, and apart from the size and the Android 8.0 Oreo, only the 2.4 GHz 802.11 b/g/n Wi-Fi, and Bluetooth 4.2 have been revealed. But with Wi-Fi specs like that, there doesn’t seem to be a new chipset inside, so I assume that for main specs we will still be looking at the same 1280 x 800 resolution display, with something close to 1.5 GHz quad-core processor, 1.5GB of RAM, 2MP and 5MP front and rear cameras, and a 10-11 hour battery life.